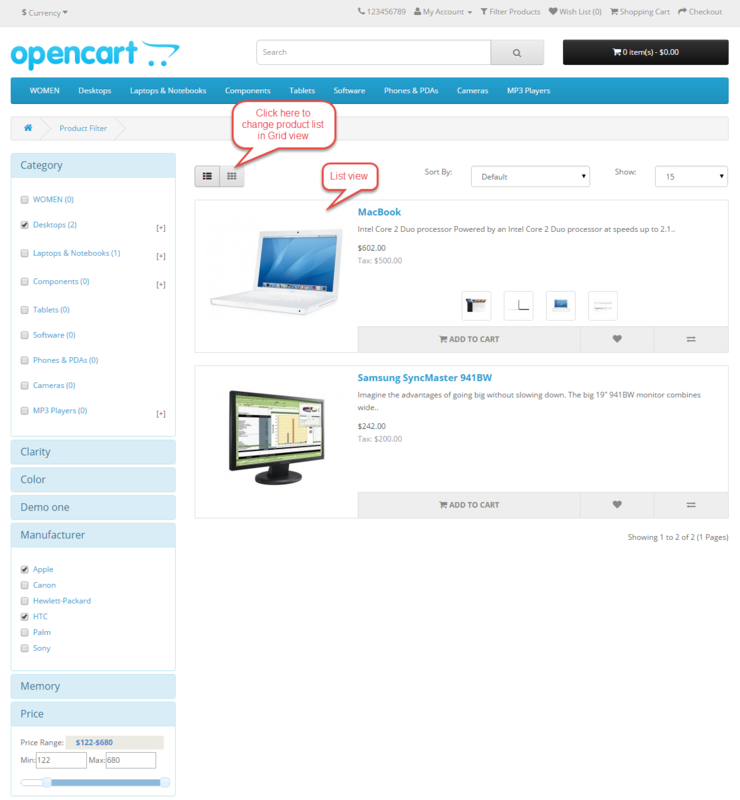 Opencart Product Catalog Filter allows the customers to filter the Opencart catalog from price to attributes, category manufacture etc. With the help of this module, the customer can filter the product very conveniently. It allows the customer to select the filter for Particular categories. 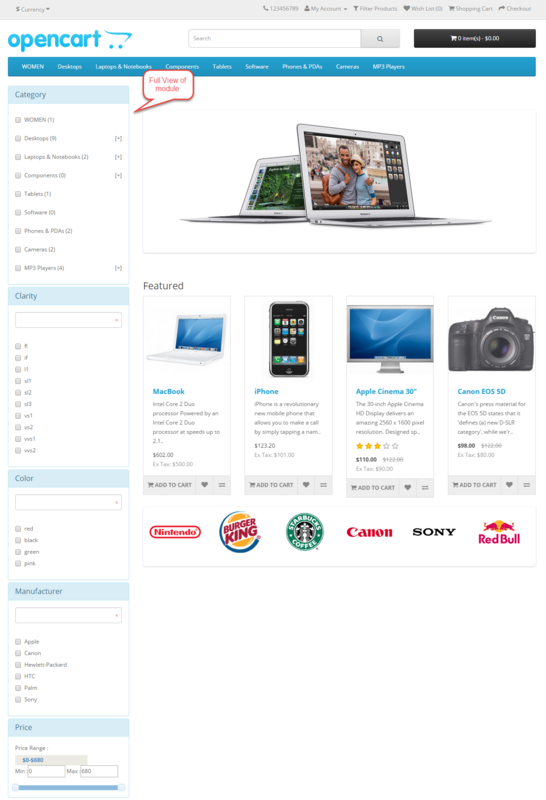 It can also display filters for Custom attributes of products. Customers can also search product from the Filter for Manufacturer product. It allows the Category based filter. It allows the buyer to view the product in list or grid. It also provides a button to Clear all the selections on the filter. 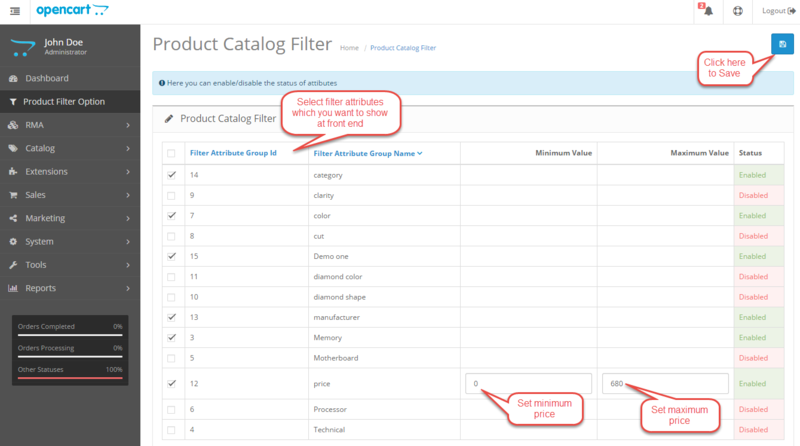 Installation of the Opencart Product Catalog Filter module is very simple. 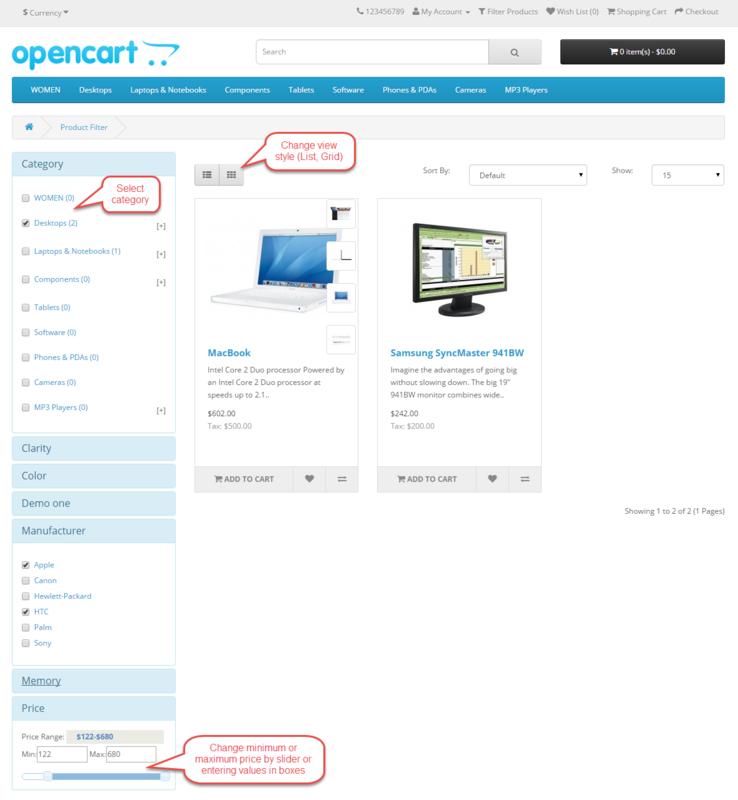 You just need to move Admin and Catalog folder into the Opencart root. 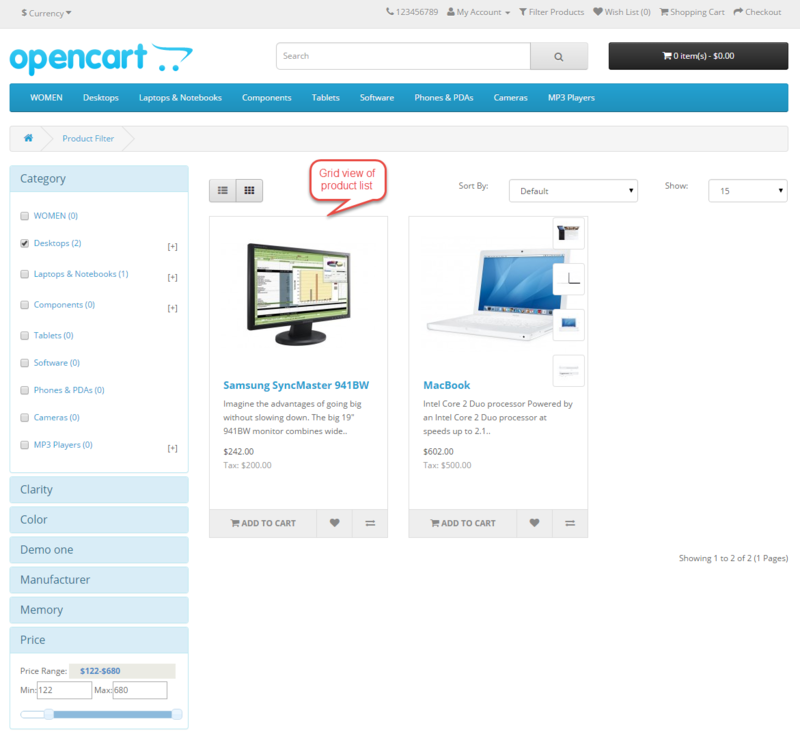 You can also install the Opencart Product Label module by uploading the Zip And XML file through extension installer. After uploading the file go to the Extensions > Modification and click on refresh field. After that in Admin panel go to System -> Users -> Usergroup and edit ‘Administrator’ and choose select all for both Access and Modify Permission and save it. 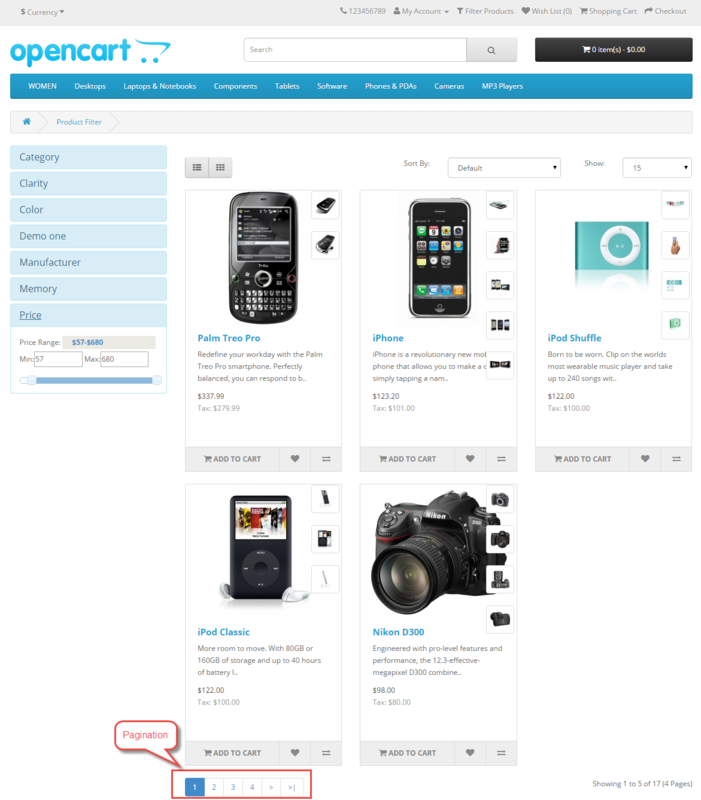 After that under Extension > Module, install the Opencart Product Catalog Filter module like this way. After successful installation of Product Catalog Filter module, edit it as per your requirement. Admin can enable or disable the module status. 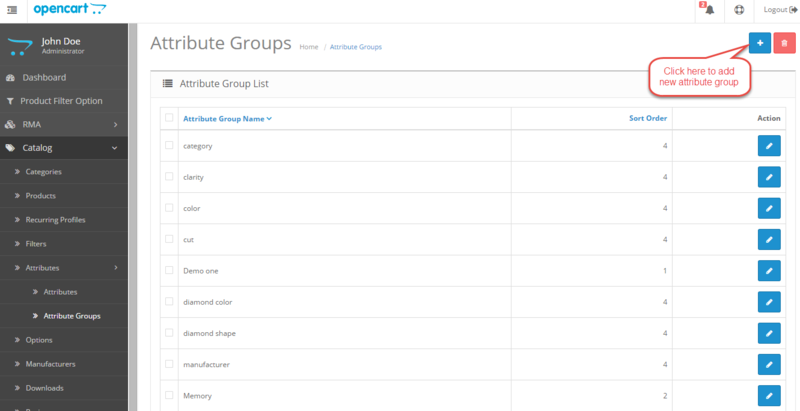 You can create attribute groups like category, manufacturer, color under Catalog > Attributes > Attribute Groups. After successful installation of Product Catalog Filter module, Product Filter Option menu will appear. Here you can select Filter attributes groups, which you want to show at front end. 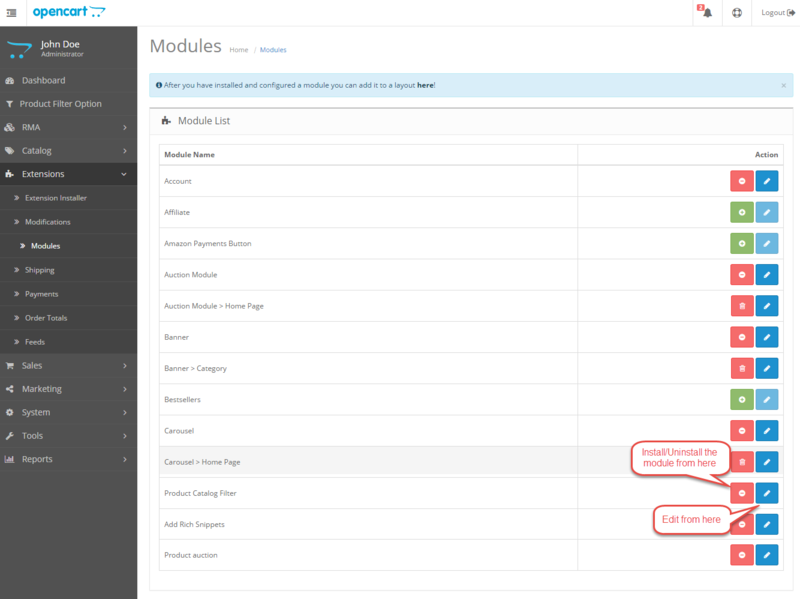 Overall view of module will look like as below screenshot. From the dropdown, you may choose the action for displaying. If you will change the price or category, product list will also change. This module also provides pagination feature. Refer to the screenshot for the same.